2, In the course of use the snow foam lance, if you incautiously drop it in the ground, the product will be easy to damage. 3, The copper rubs against the plastic bottle so that the screw thread of bottle is easy to damage. 1.The test shows that, compared with the copper one, the new plastic nozzle is more resistant of being squashed and more throw-proof for its special material. 2, The plastic nozzle is less abrasive to the bottle, the damage could be neglected in most cases. 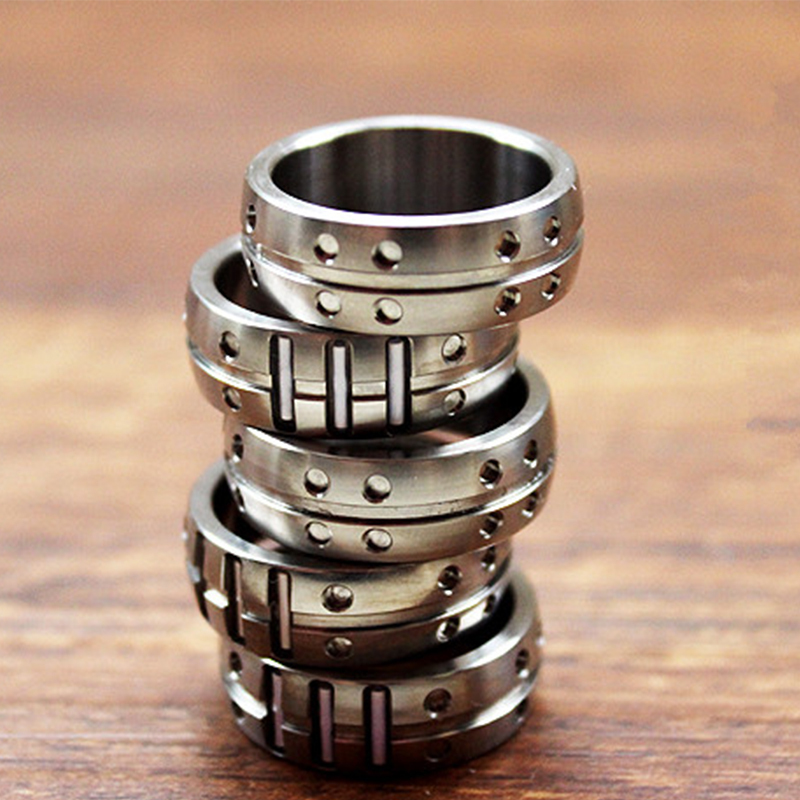 3, The product is easier to pass the customs clearance procedure for the lighter weight. KA means Karcher K Series. This foam lance is with Metal Brass adapter and connection tube. Actually, the plastic adapter is same durability as per the brass one. You can get the very thick foam like the above photos if your pressure washer can create 150Bar pressure at least, and your cleaning shampoo is concentrate shampoo. 1. 100% guaranteed to make thick and dense foam for all pressure washers. 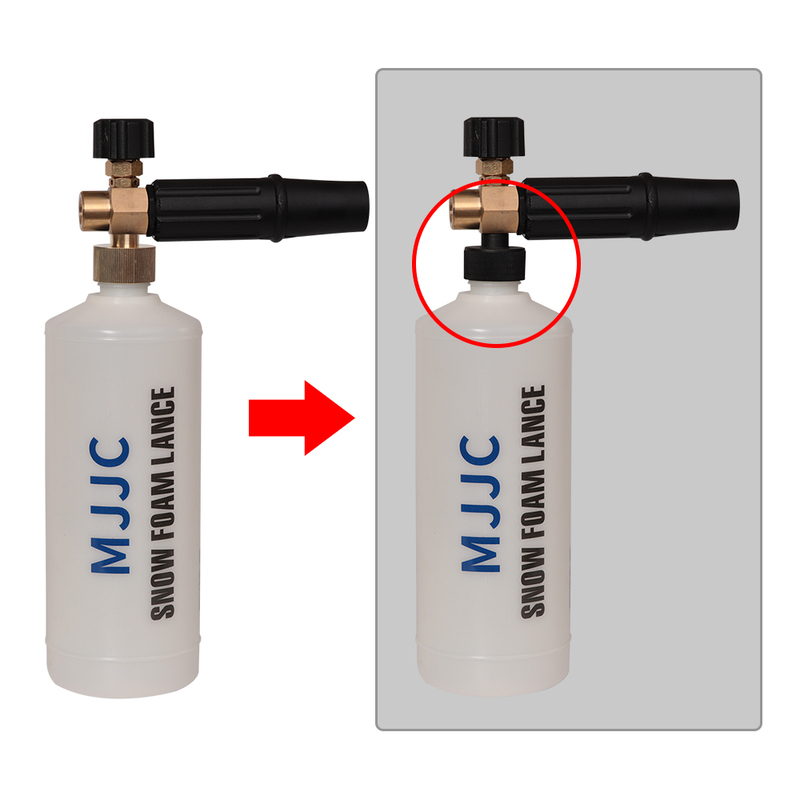 2. both small and big commercial pressure washers can make thick and dense foam with the new design MJJC FOAM LANCE. 3. 45 days money back guaranteed for undelivery or defective quality. 4. Since now, we provide 6 months warranty guaranteed(except the mesh filter inside). 5. 100% after-sale service guaranteed forever. As there are two kinds of adapters for this brand of pressure washers. Please check the photo of adapter size and make sure it fits your pressure washer before you order. We have shown the picture of adapter size on the product description, so we don\'t take any responsibility of incompatibility of your adapter if you made a wrong order. Each Snow Foam Lance comes with Karcher K Adapter, Connection Tube, and PTFE tape. Q: How long will it take to get to me? A: Normally the parcel will take 15-20 days to get to you, but sometimes it will take 2 months (Brazil may take 3 months) for something beyond our reach during transport. If you don’t get the parcel within 2 months, which seems that the parcel is lost or something else, you could open a dispute and we would refund to you.Hope for your understanding and thank you. Q: Can I choose other shipping ways? A: Yes, you could choose the shipping ways when you place the order. Thank you. Q: Can I get some discount? A: Sorry about this. All the prices on the page are the most favorable prices we could offer. But you could get some coupons on our store page. Thank you. Q: Why takes so long to get the refund? A: Don’t worry, normally it will take 5-20 working days to get the refund back. If not, you need to go ask the Customer Service for help. Thank you. Q: Will our order be subject to customs duties? A: Each package may be subject to tariffs, and different tariff policies for different countries.However, local overseas warehouses (Russia, Spain, and the United States) will not be subject to customs duties. Q: How much do you mark on the package? A: For bubble guns, we usually bid 10 dollars on the package. For the polisher, we will mark $30-50. As usual, we cannot mark goods as gifts. Please note that there are four types of foam guns handled directly by the Aliexpress warehouse, so we cannot put a lower price on these packages. Thank you for your understanding. At the same time, the following countries can only apply for real prices: Australia, Indonesia, Israel, Japan, South Korea, Mexico, Russia, and the United States. Q: I don’t want the bottle of the foam lance, can you sell the rest parts separately? A: Yes, we could sell you those parts, but the price is nearly same as the one with the bottle. And there may occur that our foam lance could not fit in your bottle. So we suggest that you buy the whole foam lance. Thank you. Q: Can I get the bottle without logo? A: Yeah, we have the bottles without logo. If you order 2 pieces, we would send you the bottles with logo. Order amount over 12 pieces, we would send the bottles without our logo. If you want all the bottles with logo, please leave a note. Thanks for the understanding. Q: The tracking status shows delivery failed, what should I do? A: For this situation, you may need to pick up the parcel yourself at the local post office with the tracking number or ask the personnel there to help you track the parcel. So sorry for the inconvenience. Q: Why there is a small nozzle screw in the parcel? What is it for? A: There will be a small nozzle screw(1.1mm) for the smaller pressure washers. If the foam lance is working well, then it doesn’t need to be replaced. Thank you. Q: What’s the working pressure of your foam lance? A: The working pressure of our foam lance is between 100-168 bar. Q: What’s the differences between the black and colorless one of your foam lance? A: Colorless stands for brass adapter. And the Black one stands for plastic adapter. Both of them are in the same size, they are just made of different material. So you could choose either one. Q: Why the tracking status not change at all for a long time? A: It takes time for the shipping company to track the goods and update the tracking information, especially when the goods is under transport to different transportation depots. Hope for your understanding. Q: Can I get the digital invoice? A: Yes, please provide us your E-mail. We would send it to you. Thank you.